Auto Rifles inherit their functionality from the most standard form of Firearm weaponry in gaming. These guns stand as the most popular weapon in Destiny’s entire arsenal. Auto rifles are very easy to use and versatile which makes them ideal general purpose weapons which is why they are so popular among users. Click here to read our top 5 list for fusion rifles. Because auto rifles are so versatile, they’re great to use in unpredictable situations. They occupy two well defined categories: Standard and High rate of fire. You can see the highest to lowest rate of fire AR’s using this list. Standard auto rifles have some varying fire rate qualities, yet, remain predominantly similar in performance and usage conditions. High RoF AR’s have a poor reputation and are declared inefficient weapons because their damage output, even in optimum range, does not exceed the capabilities of their slower counterparts. 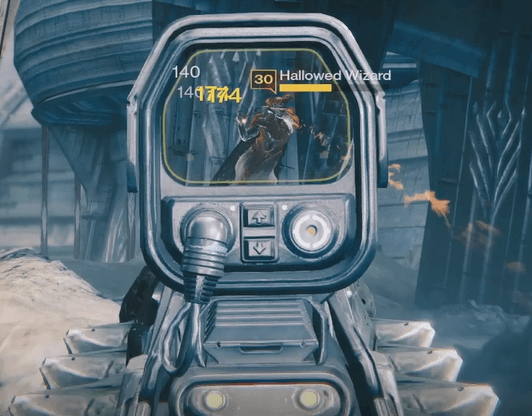 When using a high RoF auto rifle, you’ve really got to have a steady aim; they tend to sway a lot while firing. Recoil is usually an issue for most people when using high RoF weapons such as Unwilling Soul-09. Sit back, relax, and auto rifle. If you’re using an AR that’s got a slow RoF, play less aggressively, keep your distance and pick them off. Auto rifles are also the only Primary that doesn’t suffer a damage deduction against Majors and Ultras. Pule Rifles have -8.5%, Hand Cannons -25%, Scout Rifles -25%. Because of this, some are great for running Strikes that employ the “Heroic” and “Epic” modifiers. Like many weapons, auto rifles have some very specific types of recoil. Many have a lot of vertical climb, Some veer off in a random direction, and some have a wide spread. Up For Anything is easily manageable, while Payback SOS can be very unreliable if you can’t adjust your aim properly. Auto Rifles exhaust their magazines very quickly. It is unlikely that you’ll get as much out of your average Auto Rifle that you would a Hand Cannon or Scout Rifle. For this reason, a snappy reload is vital to keep yourself prepared for enemy engagements. Click here to see the auto rifles with the quickest base reload speed. No RoF is particularly ineffective if you’ve got a steady aim, but knowing which to use is important. Usually the higher the RoF, the quicker you’ll be able to get the kill, but only if you are able to land all of your shots. Necrochasm for example is able to take down a Guardian more quickly than most weapons, but it requires that you land every critical shot, which can be difficult due to its RoF. Vanquisher VIII, which technically has a slower TTK, is easier to control for most people. 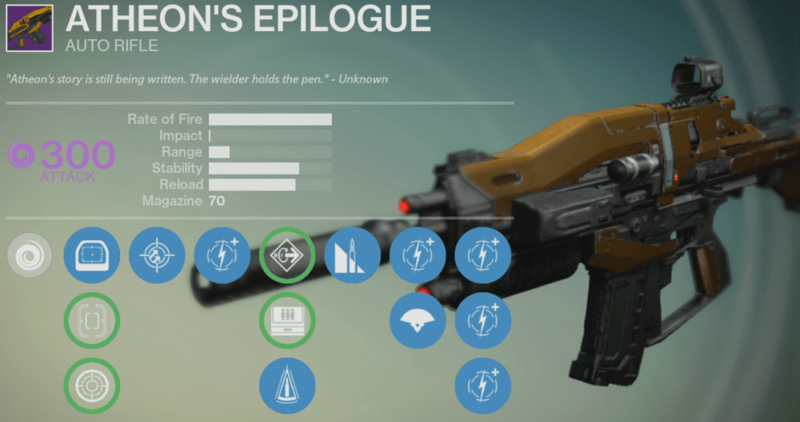 High Impact and range are two of the most important qualities for auto rifles in PvE. With the latest nerf to auto rifles, range is much more important now, and will help with damage falloff. 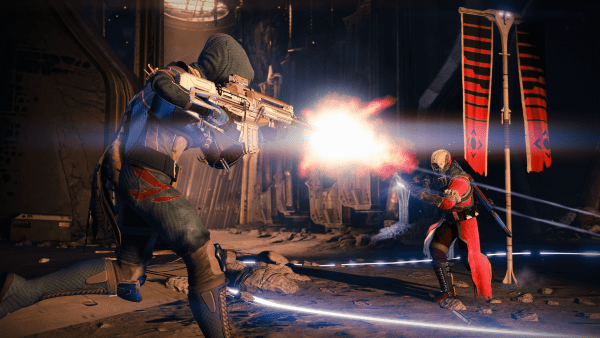 The highest Impact is of course usually attributed to the low RoF archetype, so auto rifles such as Do Gooder V or Abyss Defiant will be your best bets. If you have a tiny magazine you are much more at risk against charging enemies. If you are fighting off rushing Thrall, you don’t want to be stuck reloading when their claws come flying at you. Keeping a steady stream of rounds down range is the only thing that will keep enemies at bay, and if you are interrupted by a reload, it’s always better if it’s quick. As with everything, it all depends on the situation and what you’re looking to maximize. It’s hard to say anything is the “best” but this list are certainly what you should be looking out for. If you want a versatile & snappy rifle for CQB, you’ll want perks that help with reload speed, aiming upgrades and movement speed. If you want something strong and reliable, you’ll focus on Impact, accuracy and magazine. We mentioned some of these perks in our “best and worst weapon perks” article. If you remain conscious of your magazine size and its current condition you can have your rifles dealing a lot more damage where it is needed. That extra edge can win you a lot of one of one battles. When you are in the heat of a battle, you will pray for that extra second between your next encounter. These perks will allow you to reload especially quickly, saving you vital seconds of defenselessness. If you favor aggressive combat and melee, Hip Fire enables you to fire more accurately while closing the distance for a melee strike. Weapons with a high Range stat have smaller bloom circles, and combining that with Hip Fire can give you the best possible hipfire accuracy. raises your Agility by 2, giving you a boost to movement and jump speed. If you favor Agility, this can push you up to and beyond your normal Agility limit. When you are locked into those tight situations, the thing you are going to look for is more movement speed. The harder you make it for your opponent to hit you the better. Radiant Dance Machines are also a great combo for this, granting even quicker movement speed. Waste no time looking down sights. Snapshot provides a 30% bonus to ADS speed; your weapon could exceed its normal ADS speed cap. You will want to start firing the moment your foes come in sight. Useful options while shooting from afar, landing your shots from a distance can prove difficult, so any extra stability will be valuable. More ammo means less reloading which equates to more kills. Granting increased range while looking down sights, it will help negate the substantial damage falloff at distance. This is incredibly useful while trying to pick off your targets with more stable rifles. Absolutely fantastic for team support and ranged area denial. This perk is critical in PvP, where having your Motion Tracker active while ADS can save your life and let you get the jump on someone trying to sneak up on you. Third Eye is less important in PvE, particularly if you’ve got friends playing with you. At first glance it really doesn’t seem like much, but there is something possessive and ominous about it that just forces it back into your grip. It has a wonderful perk selection and even better sights. Glass Half Full and Persistence are an amazing duo for when you are looking to drill a Void stream of bullets into your target. One of the few elemental primary’s, and a massive magazine, it’s great for Nightfall missions that employ the Void Burn modifier. There is something incredibly satisfying about its stability enhancement perks as well. Having almost no recoil just makes it an absolute delight to use, which is rare for its archetype. Atheon’s Epilogue breaks the bias of the low RoF AR’s and sheds hope for its archetype; even Necrochasm can’t match it. Everything about this rifle is fairly balanced. It’s got great default perks and a very quick reload speed, making it perfect for the Crucible. With its default Third Eye perk, a powerful awareness tool, you’ll be able to save precious time and continue you ADS when you notice an enemy is near. With better base perks, Vanquisher VIII would have made it to this spot. For The People has a great punch, amazing stability, above average range, and a fast reload. It has a great default perk layout too: Persistence, Glass Half Full and Field Scout. It’s a weapon that will have you diving into each battle with your adrenaline pumping. If Shadow Price was still being sold, that’d take the #3 spot. It is quite simply the king of simple bullet shedding. It doesn’t need any amazing perks to back it up, all it needs is its deadly rate of fire, big magazine and nasty impact. It is a great starter Legendary for the Crucible with its default Rangefinder perk, allowing you to keep your distance, Persistence to increase your stability, and Hammer Forged for extra range. It’s at the top of the stability charts as well, allowing it to be operated with incredible ease. Not too surprising, right? Everything about this AR exudes a burning scent of desire to extinguish your foes. Its perks are specially designed to suit various engagements, mostly PvE related. SUROS Regime is now a brother in arms with this new weapon, sharing the Focused Fire perk. Abyss Defiant‘s RoF can be changed though, which is completely unique to this weapon. If you know you’re going to be up close and personal, try out Hip Fire. Abyss Defiant is built for Hive Nightfall missions. Equipped with Solar damage, Hive Disruptor, and Lich Bane, you’ve got the perfect weapon for tearing up Wizards. Not only does it diminish their shields quick, but it also blinds them periodically. It’s got the quickest base reload out of its Legendary alternatives, and a very high aim assistance rating.